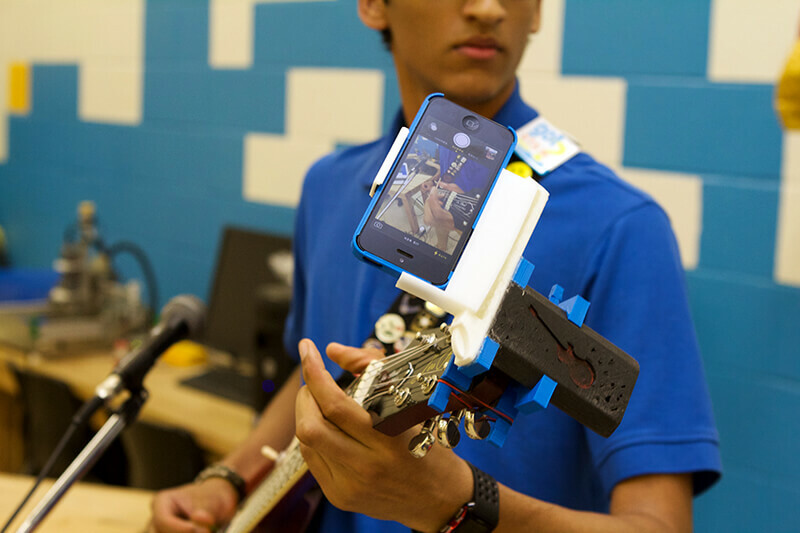 This resource explores how youth development organizations can leverage local creative, arts and technology scenes to connect youth to social and cultural experiences. These kinds of experiences can support interest development, learning and pathways to opportunity. Place-based digital learning programs are situated in local contexts, often drawing on talent, resources and activities from local creative, artistic, and technology scenes. This brief looks at the ways that out-of-school time organizations ‘leverage the local,’ and specifically the ways that they connect youth to the social and cultural experiences of practicing professionals and institutions in their surrounding neighborhoods and communities. In this resource, we look at a couple of examples of what this looks like in practice. We explore how the Western Michigan Center for Arts and Technology (WMCAT) brings youth into a local music awards show, called The Jammy’s, connecting their participants to both people and experiences in Grand Rapids’ music scene. 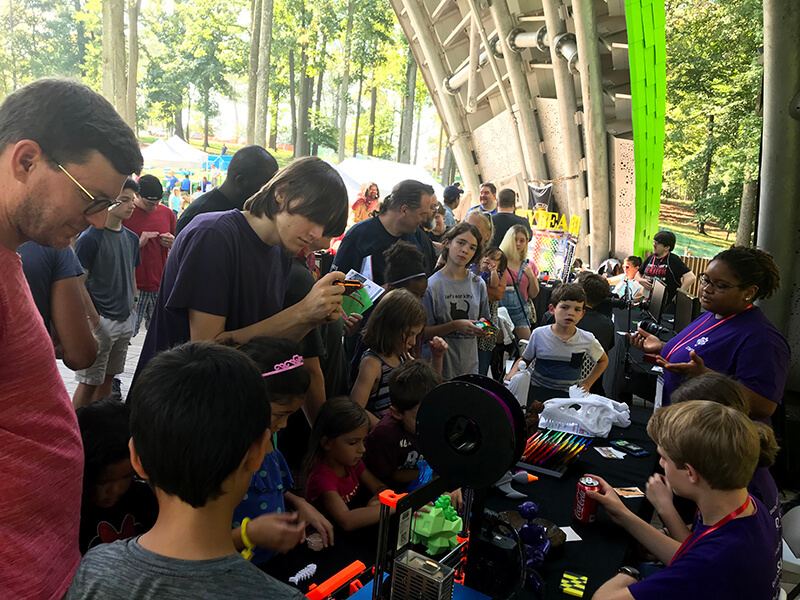 We consider Digital Harbor Foundation (DHF) in Baltimore, Maryland, and look at the way they connect their youth participants to a vibrant local ‘maker’ scene, bringing their work to wider audiences. Finally, YOUmedia, based at Chicago Public Library, leverages the wide array of cultural institutions in Chicago to bring in new programming for their youth. We then explore outcomes associated with this approach, various challenges and tips and guiding questions for organizations to consider. There’s been one special event that we’ve taken the students to, the Jammy’s. It’s this annual event that’s kind of a big deal in Grand Rapids. It’s like our version of the Grammy’s for local artists. The students made a CD last year that played at the local radio station, W-Y-C-E, which puts on the Jammy’s. It’s great. About a thousand people go to this event. The students brought this CD in and from that, they’ve now been invited to play at this year’s Jammy’s. The students have gone for the last three years, and WYCE has been very kind to let them go backstage and let them do interviews with the artists, have other ‘behind the scenes’ access. In addition to bringing their participants out to events, WMCAT also brings local professionals into their space with a program called Friday Flip, where local business-people come into the space to discuss the types of paths through college and industry that make sense for their profession. These talks are coupled with career field trips, where participants are taken out to see those careers in action. By connecting youth to experiences within the Grand Rapids community, as well as bringing professionals in to share their knowledge and stories, WMCAT is helping to bridge their participants to both social and cultural capital that exists within their local context. Fearless Solutions is a local software development company. And they usually hire two of our youth a year. The last one they had they held onto for about two years. She was one who had gone through our youth employment program, and they raved about her. And then some of the other ones are usually like smaller tech companies. I have a friend who runs a government consulting company that he’s always hiring contractors for and so he’s waiting for our unit to finish up. We also have a local 3D design company called Direct Dimensions. And that’s one of our goals for our print shop, to get those youth internships at the company this summer. So we had this event called Garage Fest … It’s a local event. The first one was at the City Garage, not far from here. It’s another makerspace. And I had youth apprentices go over there and they basically presented on their own. And we raised a couple hundred bucks [for the program]. We sold a lot of items, and we got a lot of exposure through that. And I didn’t really train them for talking to people outside, but they spoke proudly about themselves. This was paired with several other partnerships to draw clients to the 3D Print Shop program – including working with a local hospital’s physical therapy residency program to print student design projects, as well as working with a local artist to create objects for an installation that she was designing. What institutions or community events are relevant to our youth and their developing areas of interest? Do youth participants have meaningful avenues of participation in experiences we’re developing in relation to the local community? Is there an exchange of learning between adults from these scenes and youth participants? Some key [partnerships are] the Museum of Science and Industry, the Adler Planetarium, the Shedd Aquarium, the Poetry Foundation, and the Art Institute. So we’re are interested in this range of cultural institutions that also provide programs or particular expertise. We have relationships with people in all of those institutions, and we continue to circle back to them to do different projects. [We look at] a number of factors: Have they worked with teens? Are they comfortable working in an less structured teen environment, such as YOUmedia? Do we have shared missions and goals? Is what we’re both bringing to the table going to be mutually beneficial? Do they have staff capacity to recruit participants and run programming? I think there is sort of a misconception that, ‘Oh, the library has all these teens and all I have to do is show up.’ So really, we ask ourselves a lot of questions before bringing in community partners. In this case local organizations bring content and expertise of working artists and local professionals to youth participants. In exchange, YOUmedia uses their deep connections with their youth to help these partners expand their reach. Building Youth Social Capital. This refers to connections to individuals and organizations that allow one to gain information, find resources, and explore opportunities. For example, someone in your social network may pass along information about a job opportunity they learned about from another connection of theirs. Without your social network you may never have known of that opportunity. Building Youth Cultural Capital. Cultural capital refers to the ability of an individual or group to act within a situation through their familiarity with the norms and expectations of a given practice. For example, if you are attending a mixer at a work event, cultural capital refers to your ability to talk to navigate conversations, talk to your peers, and demonstrate your ability within your field. This sort of deep, cultural knowledge allows an individual to make strategic moves within their field and to navigate the inner workings of an industry. Youth Contributions to Community. By connecting their youth to other people and institutions, youth development organizations create contexts where youth are able to engage in projects that actively contribute to the betterment of their communities. Building Staff Social Capital. Through local connections, educators at community-based organizations gain important connections that they leverage in future projects. Increasing organizational expertise. Intentional interactions with external professionals and institutions can lead to deeper skills and knowledge for educators, increasing the overall capacity of the organization in various areas. In the examples of organizations we highlighted we can see these forms of capital evidence themselves in a number of ways. At WMCAT, program facilitators connect youth activity to local artists, and specifically artists of color. For example, by sharing the history of black musicians in Grand Rapids, students are given the ability to act as archivists for that history. At DHF, program facilitators leverage their connections with the local technology industry to provide opportunities for their students, while also connecting youth to experiences with other makers and designers in the city. 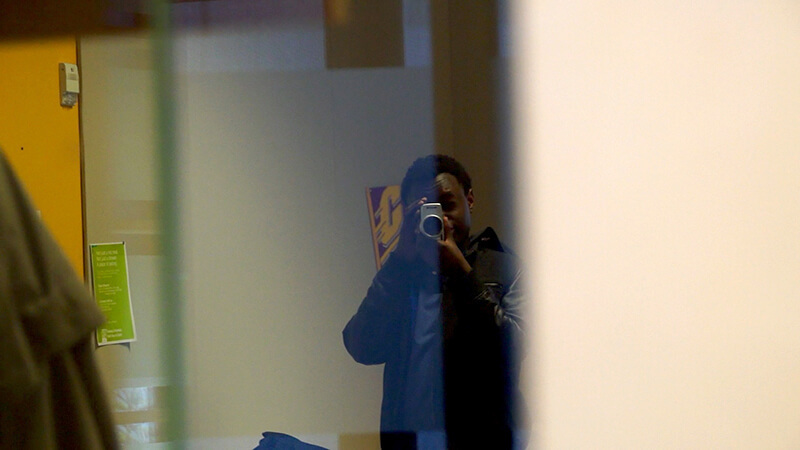 At YOUmedia, program facilitators leverage the library’s traditional role as a community cultural institution to connect their youth with programming opportunities, while also sharing knowledge with others. In all of these cases, organizations are acting as a bridge, or a broker, to a wide variety of forms of capital: economic capital through employment opportunities; social capital in the form of personal connections to local artists, technologists, and other professionals; and cultural capital in the form of modeling engagement within local creative and technological professions. Matching participants to developmentally and socially appropriate opportunities. Youth experiencing a mismatch can lead to negative experiences, something especially important to be aware of in fields such as media and technology, where youth non-dominant groups have been historically underrepresented. Making meaningful connections. Not all connections to local scenes are substantive, and active attention must be given to ensure that the relationships and activities that come from these connections provide real opportunities for the development of social and cultural capital, as well as authentic youth contribution. Increasingly, connecting to local actors and scenes is not only a function of face to face interactions, but also ones that take place within the digital sphere. This might involve youth working with program educators to circulate their creative works online through social media, and involving local actors and institutions in that process (see Free Spirit Media’s resource on distributing youth produced media for more information). Additionally, youth-produced technology projects, as well as client-services they might provide (see our resource on the topic), act as opportunities to engage with the local community. This might involve a client-based program tabling about their services, as described above in the case of Digital Harbor Foundation’s 3D Printshop, or having media projects shared at a community event, as described in the case above of WMCAT’s youth having their music played at the Jammy’s.